For those of you that are not able to make it to State Track, the NFHS Network will be streaming the meet live, for a minimal cost. Click on the logo below to access the NFHS Network's site.For Technical Support, please email: memberadmin@nfhsnetwork.com or call 877-978-2311. The NFHS Network is the exclusive broadcast rights holder of this postseason event. 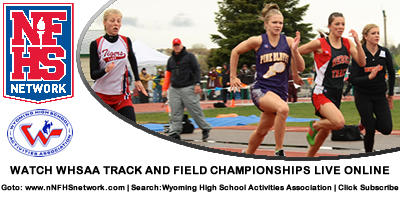 Any individual streaming an event is strictly prohibited and is in direct violation of the WHSAA's contract with the NFHS Network. Any violation of NFHS Network’s exclusive rights may result in discipline by the WHSAA or legal action by the NFHS Network. Due to school being in session at Kelly Walsh High School, parking will be very limited in the area. Parking has been arranged at the South end of the Mall by Sears. A shuttle system will continually drop fans off close to the main entrance of the stadium. Please allow extra time in using the shuttle so you do not miss the event you have traveled to see. There will be two entrances into the facility. 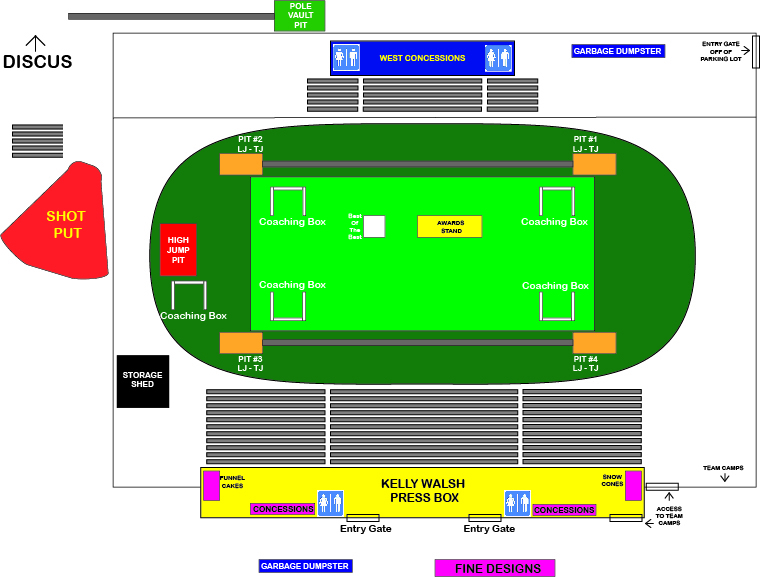 We will utilize both ticket booths at the base of the press box.